By jrosenhouse on June 19, 2016. Back to chess! My quest for the expert title continued at the Continental Class Championship in Herndon, Virginia this weekend. Full report to come. While I was there, I played in the big Saturday night blitz tournament. Blitz chess is rated separately from regular chess, and with good reason! The time control was the traditional five minutes for the whole game, with no delay or increment. Going into the tournament, my blitz rating was an even 2000, but that was a provisional rating based on eighteen games. You need to play twenty before it becomes a real rating. The blitz tournament is generally played in one big section, leading to some big rating mismatches. There were IMs and FMs at the top, all the way down to C players at the bottom. But in blitz, any crazy thing can happen. Even a GM can miss a trick when playing at such a high speed. Overall it was a strong group. Out of 24 players, my 2000 rating put me right in the middle. I should also mention that you play two games with each opponent, one as white, one as black. So how did it go? Pretty well, actually. In the first round I played a 1400 player. Spanked him! I won both games My reward was to play a 2300 player in the second round. In the first game I nicked him for a draw. In the second game I was much better, possibly winning, throughout, but he calculated a bit better in the time scramble and pulled off the win. Still, I was feeling great. In the third round I played a 1700 player. Spanked him! I won both games again. Then I played one of the real big boys in the final round, at 2400 rated. The first game was discouraging. I dropped my queen right out of the opening. Oops. It happens. What can I say? 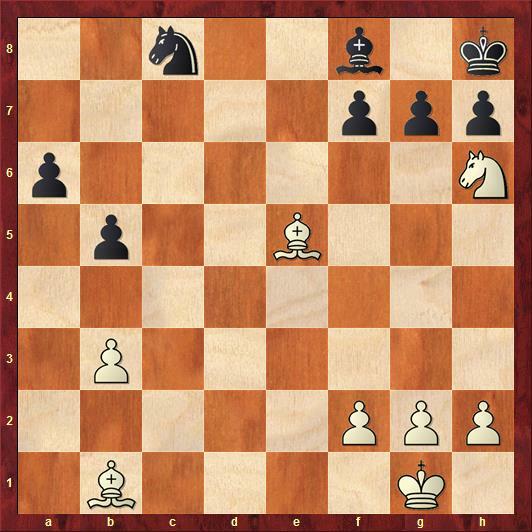 Over the last few moves I felt like things had been moving in white's direction. Those bishops are what white dreams about in the Ruy. I was sure that e6 at some point, opening the line for the dark-squared bishop, was going to be the end. But the computer says that after g6 for black the position is dead level. Instead I went for glory with 1. 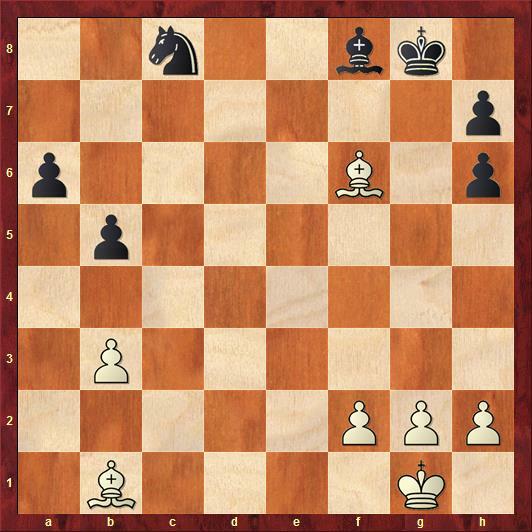 ... Nxe5, which wins a pawn and hits the white queen. The point is that white cannot reply with 2. Bxe5 because of 2. ... Qc1 mate. Boom! I thought that was clever. But maybe white has a tactic of his own. Play continued 2. Nh6+ Kh8. Now the computer helpfully points out that 3. Qh5 is mate in sixteen. Mr. Bigshot 2400 player missed it, however. What a fish! Instead he went for 3. Qxc8 Nxc8 4. Bxe5. Counterboom! Looks like white wins his piece after all. Or does he? Now black plays 4. ... f6. Counter-counterboom! What does white do now? Two of his pieces are attacked, and he's only allowed to move one at a time. So white went with 5. Bd4 gxh6 6. Bxf6+ Kg8. It was probably slightly better to play 6. Bg7, but I wanted to start bringing my king to the center. Now it's white's turn to find a game-clarifying tactic. He found 7. Bf5. That attacks black's knight on c8. But if black moves his knight, white just plays 8. Be6 mate. Yikes! Does black have any more tricks up his sleeve? Indeed he does! I played 7. ... Be7. Black saves his piece after all. The computer points out that 7. ... Kf7 was probably a bit better, but with around a minute left on my clock I was just happy to have something to keep the game going. But this is where the fun ends. White just retreated his bishop, after which the ending is just much better, possibly winning, for him. He just posted up his bishops in the center, where they control most of the board. He had little trouble keeping my queenside pawns under control, and then calmly marched his healthy kingside pawns up the board. He won the game. Drat! But it sure was exciting, and I was glad to be competitive against such a strong player. 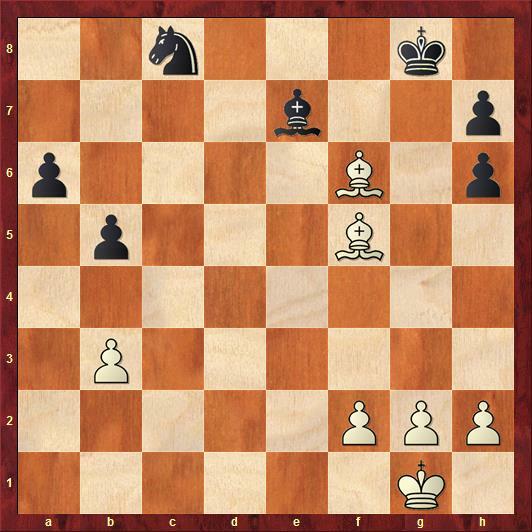 I now have a bona fide blitz rating: 2019. Yeh baby! Just so we're clear, 2000 is the threshold for becoming an expert. What a great speed game! Heck, what a game, period! I find it a bit difficult to see how the position is dead level after 1...g6, what with White 's bishops, but I lose to computers. Congratulations on your new speed title. Well deserved. You said: "He found 7. Bf5. That attacks black’s knight on c8. 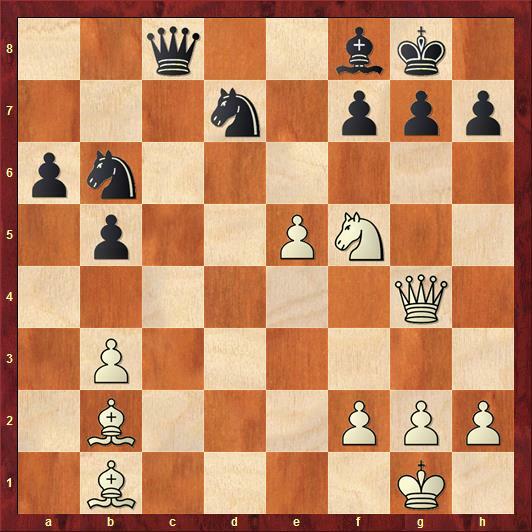 But if black moves his knight, white just plays 8. Be6 mate." But it looks like if you move 7. ... Nd6, Then 8. Be6+ Nf7. I don't know that this is a better move, but moving your knight did not mean you were mated. Yeah, it sure was exciting playing that at blitz speed. My opponent was plainly surprised by both Nxe5 and f6, and lost the time advantage he had up to that point. But I wasn't anticipating any of his moves either. So it was blow and counterblow, but it felt like dumb luck that there was always one more trick in the position. Thanks! I played a little Go in graduate school. Ever since the big AlphaGo match, I've been watching some of the Go videos they have on YouTube. I would love to learn the game more seriously, but the fact is my chess, in the scheme of things, is still pretty poor, and I don't relish putting a lot of work into being mediocre at another game. Good point about Nd6! So black had more options than I realized during the game. I think, though, that Nd6 is weaker than either Be7 or Kf7. After Be6+ Nf7, it looks like white will pick off at least one of black's queenside pawns pretty quickly, leaving me even worse off than in the game. Nope! You've passed the halfway point at least. I found this set of chess statistics visuals after a brief bit of Googling (last chart is most relevant). With a 2000 rating it appears you are in the top 39% of the world's ~170,000 rated chess players. Which, if we're being honest, probably means you'd blow away most casual chess players, as the number of people who have played chess or occasionally play with friends >> players who go to tournaments and get an official rating.